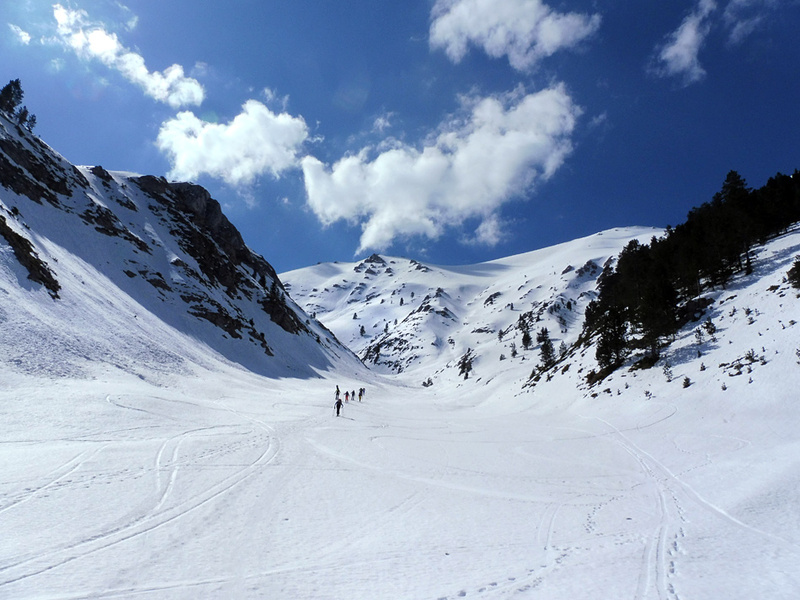 As April is leaving us behind with a very sweet taste of great skiing and a bit of hard climbing, forecasted weather shows signs of a sudden warming for the beginning of May. 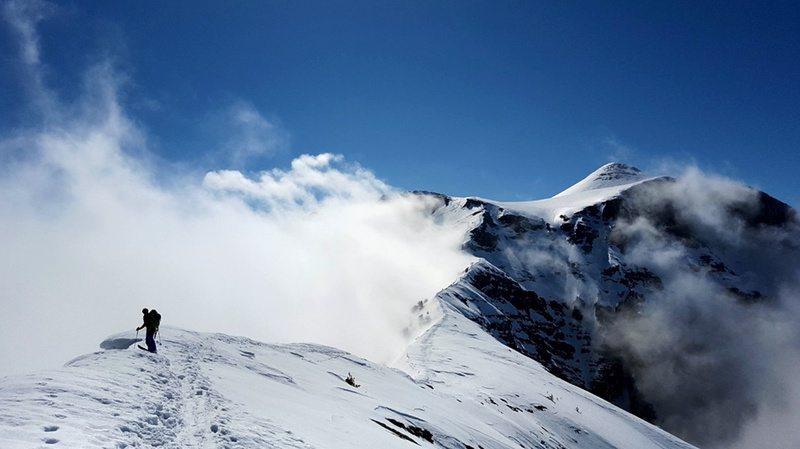 But the upper mountain still holds lots of snow, and in case that the warming will not be long lasting it seems that the skiing season will continue well into May. Hiking is still restricted to elevations below 1800 - 2000m, as the entire ecosystem is partitioned in two pieces; green forests down low and snowy peaks up high. A few more photos since our last correspondence with many. Wishes for beautiful Hikes, Climbs and Ski Tours. Entering the “Gods Realm”. 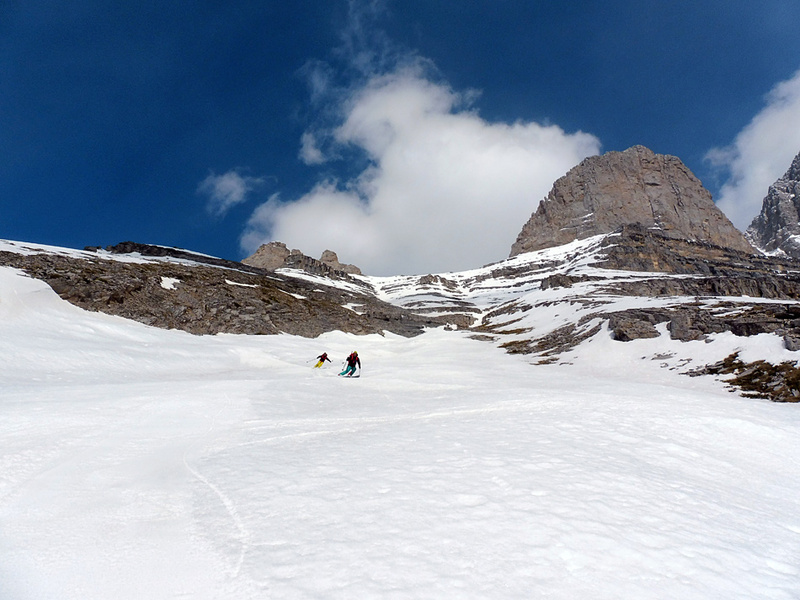 The crossing of Laimos Ridge en route to the Plateau of Muses (Photo © Luca Culici). 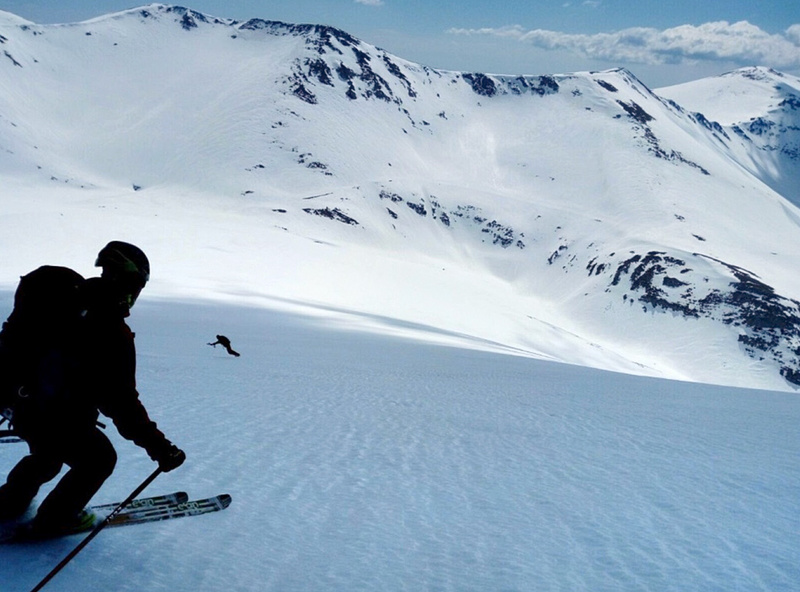 Skiing down from Christaki Peak (Photo © Luca Culici). 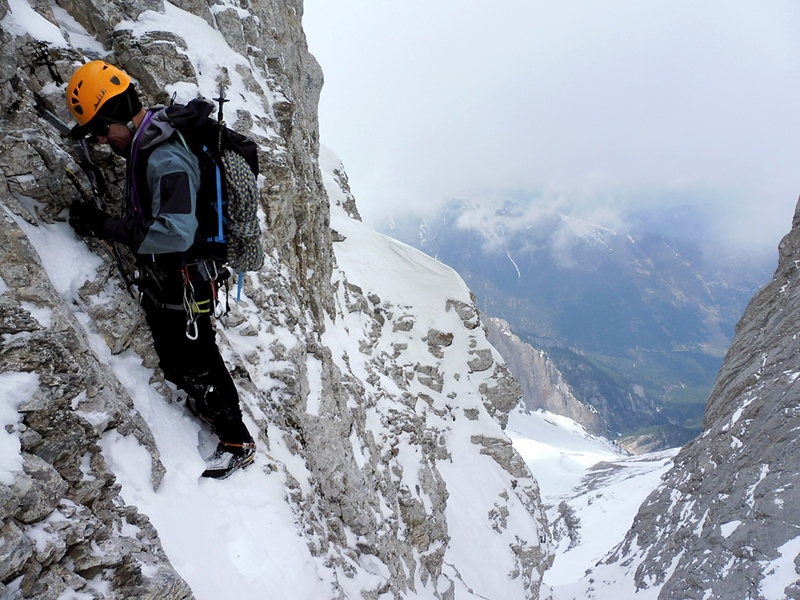 Looking for a good protection placement to establish a bomber belay, to start another winter ascend of the route Avanzo-Mussafia-Trevisini (230m, M3+/M4) on the NE face of Mytikas (Photo ©Mike Styllas). 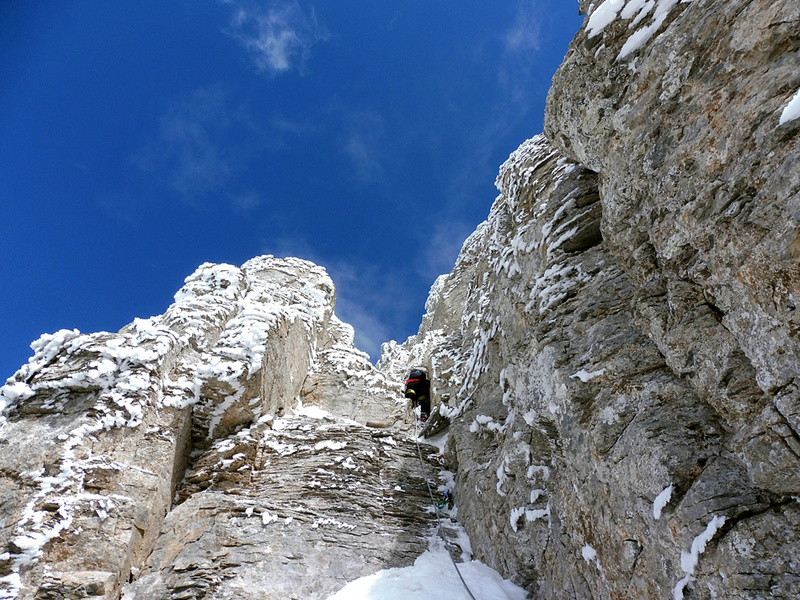 On the fourth pitch (the only one with good neve/ice conditions for this year) of the Avanzo-Mussafia-Trevisini (230m, M3+/M4) route on the NE face of Mytikas (Photo ©Mike Styllas). The Localainda crew (https://www.facebook.com/localainda/) descending in Megala Kazania and enjoying many well-earned turns after a heavy season in the ski resort of 3-5 Pigadia (Photo ©Mike Styllas). 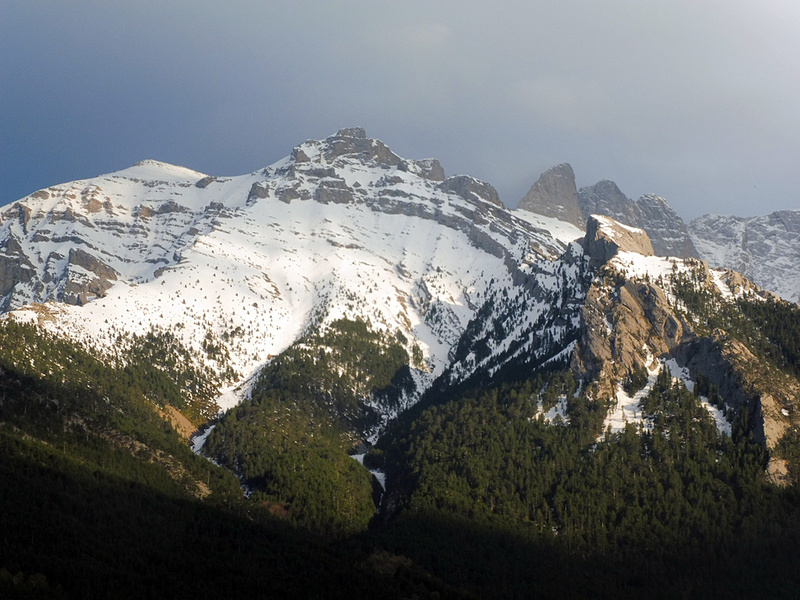 Mount Olympus Hivernales…the north slopes are still waiting (Photo ©Mike Styllas).